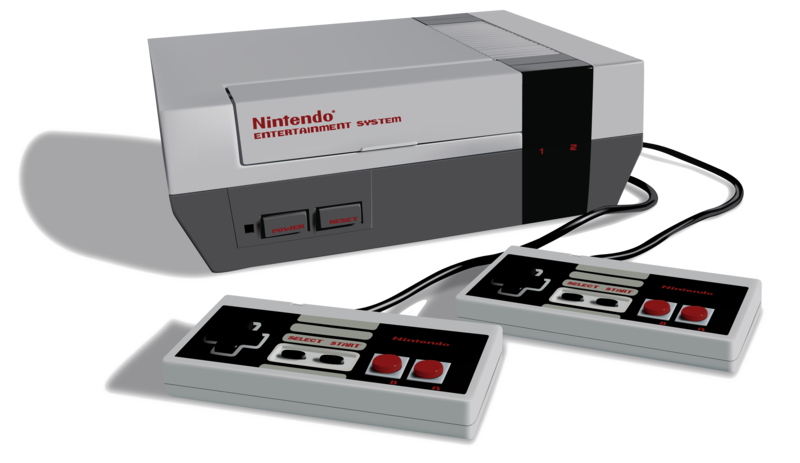 NES is the start of something special in the gaming world. Creating classics like Super Mario Bros, Duck Hunt, Mike Tyson’s Punchout, Contra, Mega Man, Tecmo Super Bowl, Metroid, Zelda. This system revolutionized what people did for fun at home in the 80’s. Usually in stock. We also range between 200-300 different game titles in stock at all times. We also install a 72 pin connector in the system, so you won’t have to blow into the cartridges like we all did when we were younger. These systems are tested and come with a 30 day Defective Warranty. Each system comes with all cords and 1 controller. SNES gets the nod as “Tied” for Ben’s favorite system of all time. Creating classics like Donkey Kong Country, Super Mario World, Zelda A Link to the Past, Chrono Trigger, and some of the most amazing RPG’s ever created. We usually have these systems in stock as well as over 200 different game titles in stock. These systems have been tested and come with a 30 Day defective Warranty. They also come with all cords and 1 controller. 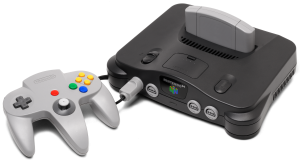 N64 gets the nod at “Tied” as Ben’s favorite system of all time. Creating classics like Zelda Ocarina of Time(which tops the charts as Ben’s pick for best game of all time. ),Super Mario 64,Mario Kart, and Goldeneye which paved the way for games on newer systems like Call of Duty and Halo. Without Goldeneye there would never be a COD or Halo.We guarantee these systems in stock as well as over 150 different game titles to choose from. These systems have been tested and come with a 30 Day Defective Warranty. They also include all the cords and 1 controller. 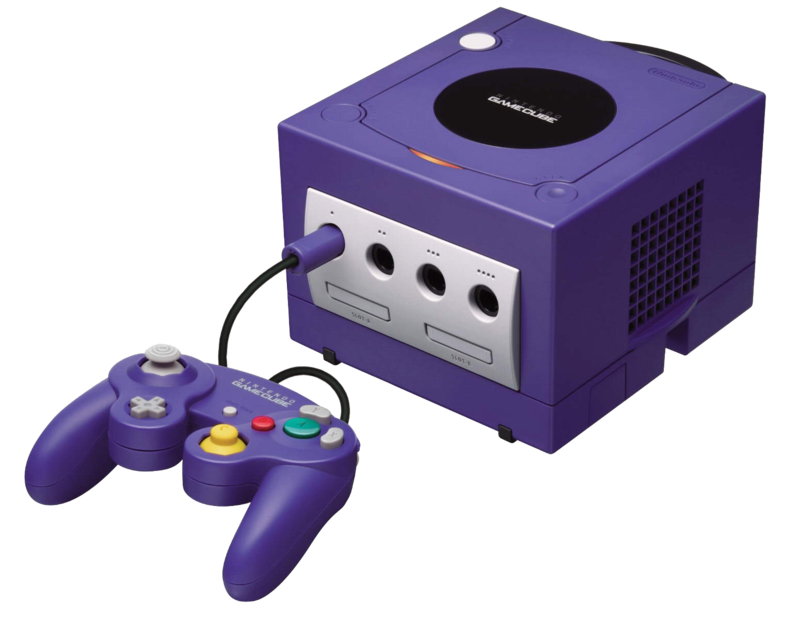 Nintendo Gamecube is a wonderful system and a cheaper route to go. Creating classics like Zelda Twilight Princess, Mario Kart Double Dash, Spyro, Crash Bandicoot, Animal Crossing.. A perfect system for the kids, and adults alike. We guarantee these systems in stock as well as over 300 different game titles to choose from. These systems have been tested and come with a 30 Day defective Warranty. They also include all the cords and 1 controller. Nintendo Wii is one of the top selling systems of all time. Creating classics like Wii Sports who anybody from kids,teens to grandparents loved this game! Also creating a motion wii-mote which is unlimited in the possibilities of things you can do. Recreating some of the classics was a huge success to the wii like Donkey Kong Country Returns, Metroid Prime Trilogy, New Super Mario Bros, and one of their huge things the Wii Fit Board, which will get on your case if you miss a day on your workouts. Keeping you on track. We guarantee this system in stock as well as over 400 different game titles on hand. These systems have been tested and come with a 30 Day defective warranty. They also include all the cords, sensor bar, a wii-mote and a nun chuck. Nintendo Wii-U is an amazing and innovative system. It uses a gamepad to play with as well as using wii motes. Someone else wants to watch tv? No problem switch the channel and you’re still playing on your wii u. 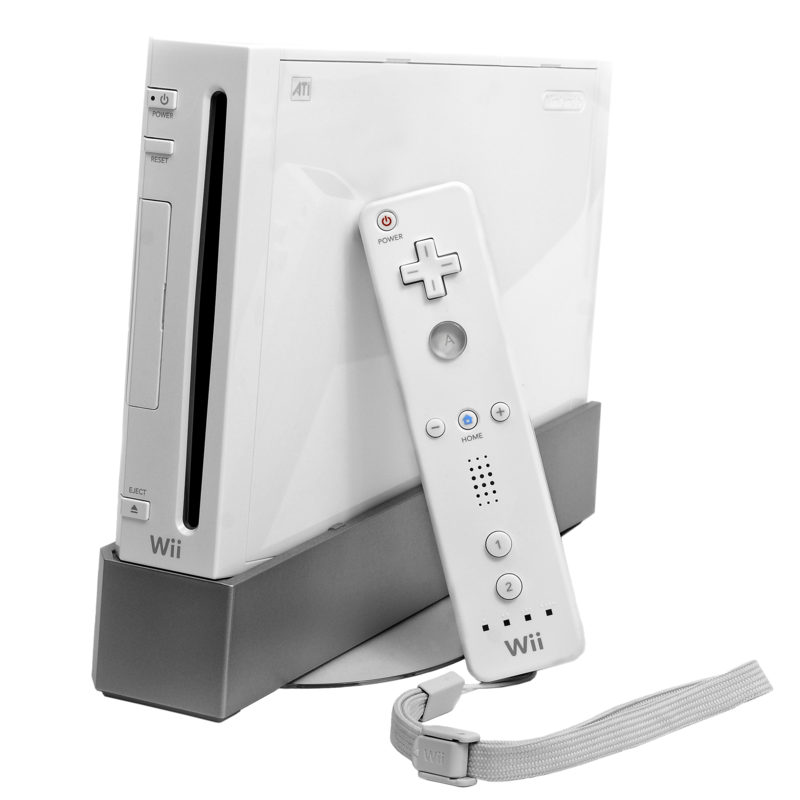 The design is a mix between a Nintendo DS and a Wii. Creating classics like the New Super Mario Bros U, Zombi U, Nintendo land, and the much anticipated newest Zelda coming out in 2017 which has the most staff ever to work on a single game, and the temples being as big as Hyrule field. Pretty amazing. Also it boasts the first Nintendo ever to go High Def. We have over 50 different titles in stock for the system. We sell these in the 8gb White Console and the 32gb Black console. These systems are tested and come with a 30 Day defective Warranty. 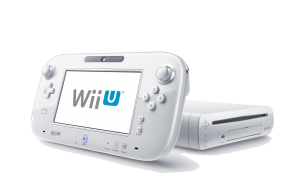 The system will come packaged with all the cords, sensor bar, the Wii U gamepad and charger. 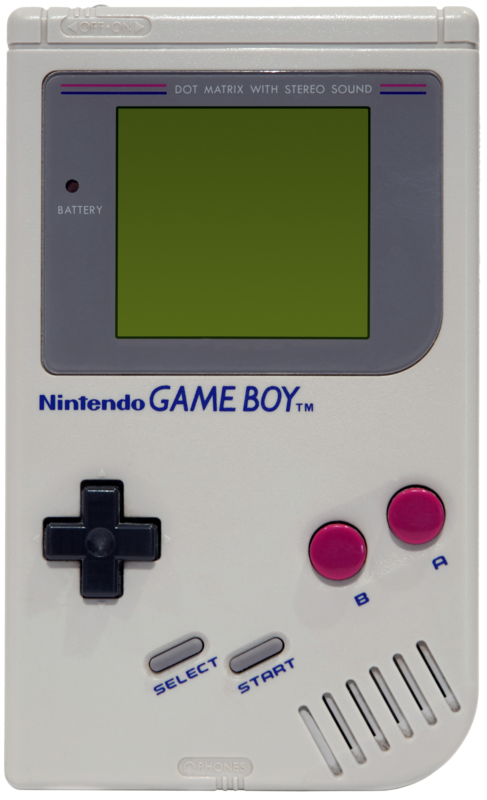 Original Gameboy was the first happening handheld to hit the palms of our hands and blow our minds. Creating Classics like Super Mario Land 2 Legend of the 6 Golden Coins, Zelda Link’s Awakening, and the infamous Pokemon’s Gotta Catch them All. These systems are hard to come by and we keep them in stock when we can get them. We have over 100 different titles in the store. Comes with a 30 Day Defective Warranty. 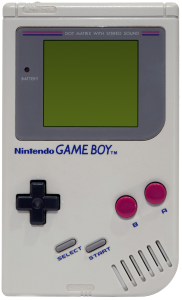 This system upgraded the original gameboy to add a slim pocket style, and the Gameboy Color which created color to the Nintendo games. A lot of added bonus to the classic games.We have over 100 different titles in the store. System comes with a 30 Day defective warranty. My favorite pick for gameboys the SP and regular advance did it all. Lots of classic games created as well as being backwards compatible to the older gameboy games. It is a must to any collector to play the collection of games. 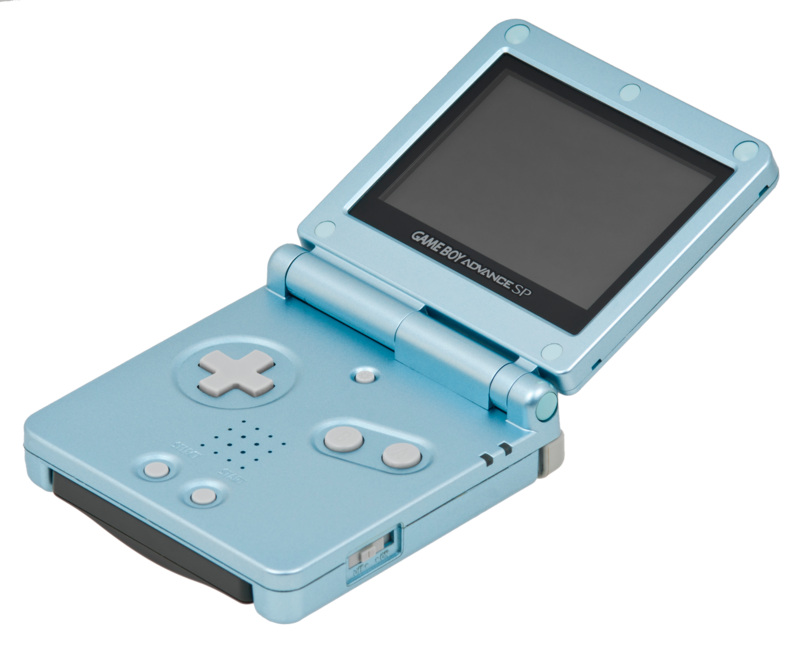 The SP also introduced the backlight so you can play at night. Both systems come with a 30 Day defective warranty. The SP will come with a charger as well. We also boast over 300 different game titles for the game boys. The DS is amazing. 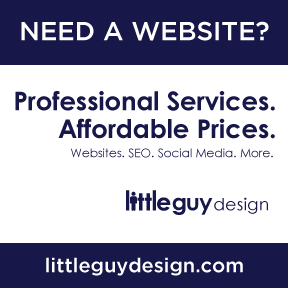 Creating classics like Nintendogs, New Super Mario Bros, Pokemon Diamond, Pearl, Platinum, Heartgold, Silver, and more. 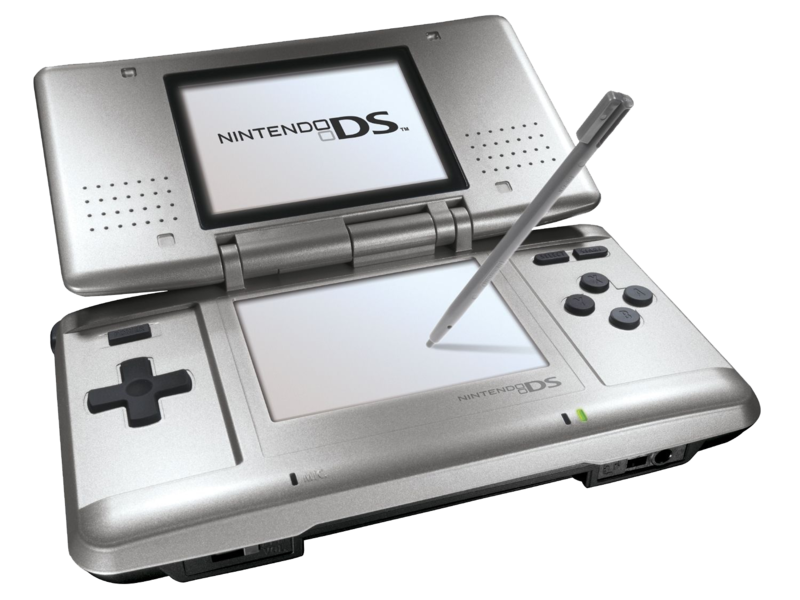 These systems to date have sold more than any other handheld ever made and second on the list of all systems. We guarantee these systems in stock as well as having over 300 titles on hand. These systems have been tested and come with a 30 Day Defective Warranty. These also will come with a charger with the system. Nintendo 3DS is a must. I highly recommend this as this is backwards compatible to DS games as well. So you can play all the new and older ds games. 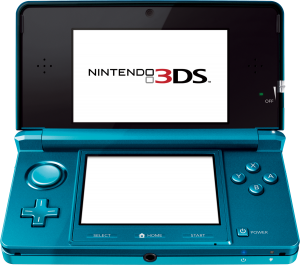 The 3DS took the world by storm with the 3D innovation. Creating classics like Super Mario 3D Land (one of Ben’s favorite Mario games since Mario World or Mario 3), Zelda Ocarina of Time 3D, Kid Icarus, Monster Hunter Ultimate, Pokemon X and Y, and lots more. These systems have been tested and will come with a 30 Day Defective Warranty, as well as a charger.